EFORCE (0065) forming higher high & higher low. Will rebound at support level? 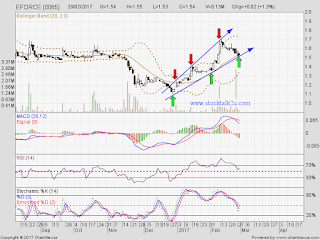 Immediate resistance @ RM1.58 level. Subsequent resistance @ RM1.68 level. 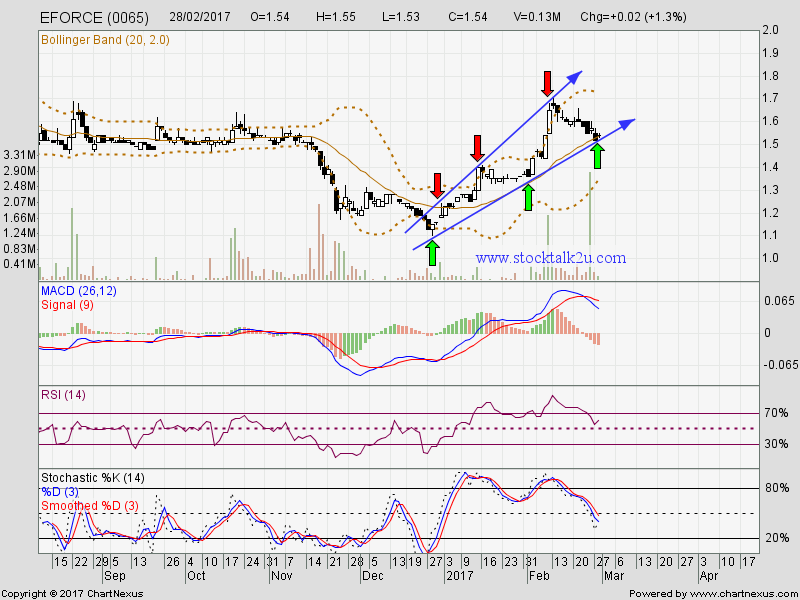 Immediate support @ RM1.41 level. Subsequent support @ RM1.33 level.